PoPville » Dear PoPville – New Red Light Cameras? 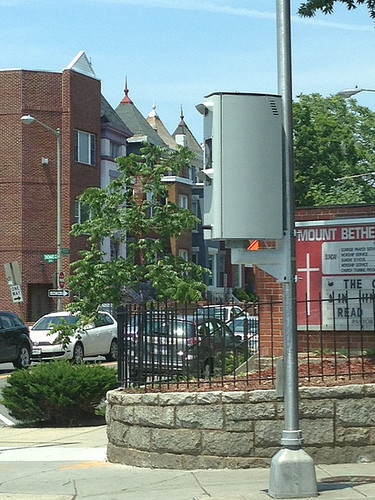 Dear PoPville – New Red Light Cameras? Does anyone know what these new cameras hanging on existing red light camera posts are? Are they just updates to red light cameras or are they ticketing for other issues? I checked the DC camera site and this site (1st and RI ave, NE) was not listed as a speed camera location. I saw several of these new cameras around town today. Ed. Note: Last week we discussed these new cameras seen around town.